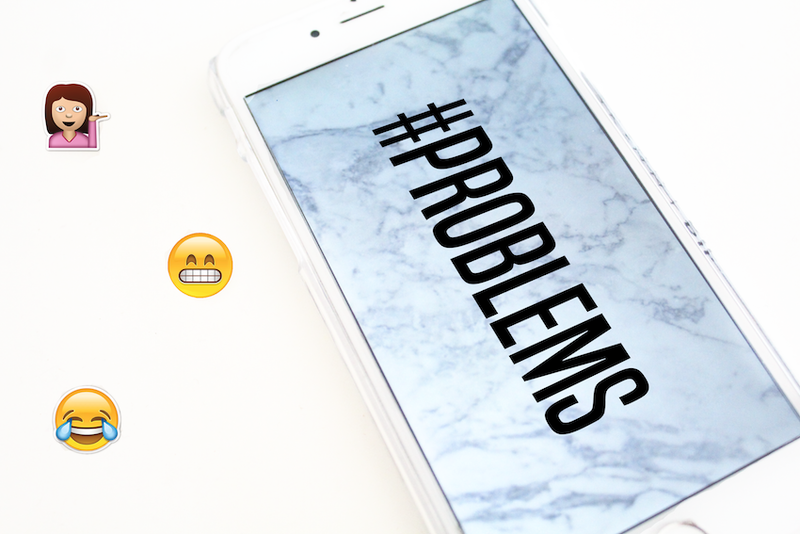 8 PROBLEMS ONLY MILLENNIALS HAVE | RAWR BOWS. Mobile phone, TV, laptop, wifi, social media. These are all things that, not too long ago, people used to live without. However, we are now almost incapable of imagining such life. Imagine having to send real letters instead of a WhatsApp, or not being able to Skype with your family or friends. God, imagining having to do your homework without the Internet. There are so many things we take for granted, and so many problems we think a catastrophically when, in reality, nothing is going to happen if there’s no cell reception or if you have to wait for more than 30 seconds to load a page. Like these, there are a lot of other thing that really irritate us but that are not as big and monumental as we make them seem. Slow wifi. Everyone hates slow wifi, I would sometimes even prefer to have no wifi at all than having torturously slow wifi. Who has time to wait a WHOLE minute to load Twitter, anyway. Uncharged portable chargers. There’s nothing more annoying than having your phone at 5%, reaching for your portable charger in your purse and realising that you forgot to charge it. Liking a picture from 2008. Everyone has, at some point, experienced the adrenaline and the immense embarrassment that goes through your body when you’re deep stalking someone on Instagram and you accidentally like their picture from 134 weeks ago. Phone Security Codes. I want my phone to be protected but at the same time I’m not willing to type in my 4 digit code (SO LONG) every time I want to unlock my phone, so someone please make Touch ID work every time and make it stop telling me I’m not me. Running out of data. How on earth are you meant to Snapchat your super cool weekend plans if you don’t have data? I mean, did you really do anything if it’s not on your Snapchat story? ‘Read’ text messages. If you ever leave me on ‘Read at XhYmin’, our friendship is over. I would now like to publicly apologise to any of my friends who I’ve ever done that to, I’m truly sorry. Late replies. Oh, he took 49 minutes and 37 seconds to reply to my text message, let me set a timer so I know when to text him back. Finding a good selfie. You need that perfect lightning, perfect angle and perfect ‘I’m looking absolutely gorgeous, but I’m not trying’ look. It’s hard. And let’s not even talk about group selfies, that’s a whole new level of complexity.